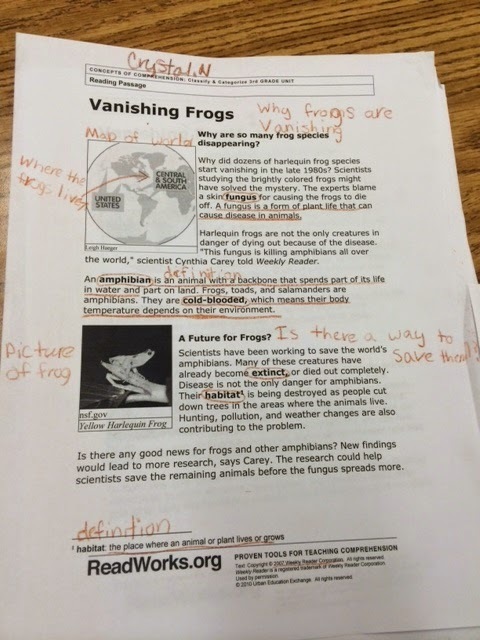 Note taking is often a difficult skill to teach students, particularly in the 3rd grade when they have never really been asked to do it before. I have always found that my students struggle with finding the important parts of the text. Often they will highlight an entire passage if they are given a highlighter to take notes. Determined to give them a framework, I came up with this anchor chart to help them focus on certain key areas. If you want to re-create the chart, I found the eyeglasses clip art here. 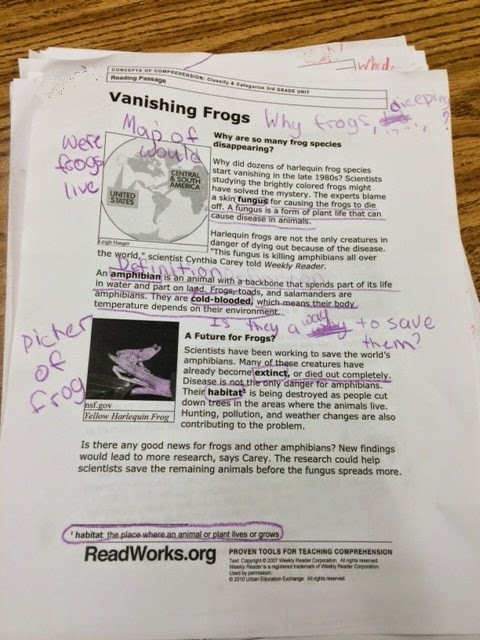 I printed out this article about vanishing frogs from ReadWorks. We read the article together once through without marking it up. The second time we read it, we took a "Closer Look". 3. What quote from the article helps you to know this? The quote from Cynthia Carey, "This fungus is killing amphibians all over the world". 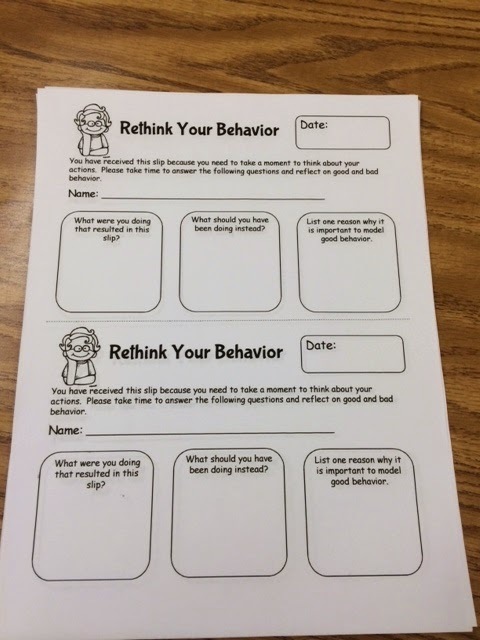 This strategy really seemed to help my students as they answered the questions that go along with the passage on the Read Works site. 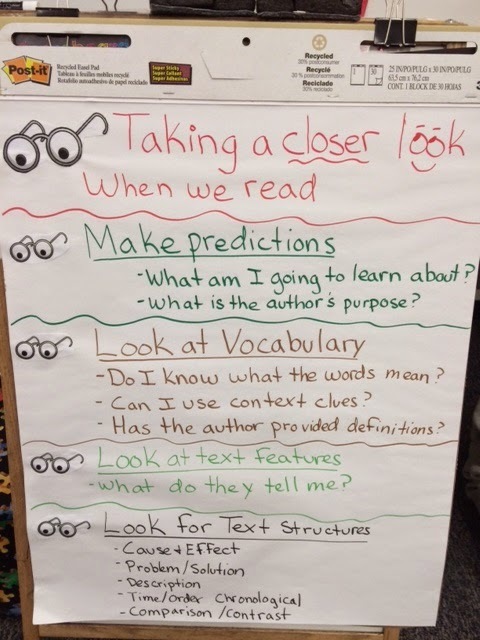 They also are more confident having steps to help them close read. 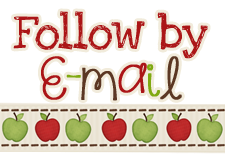 Teacher's Pets Blog Hop and Giveaway! 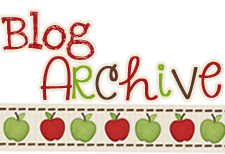 A bunch of my bloggy friends have come together to tell you all about our teacher's pets. 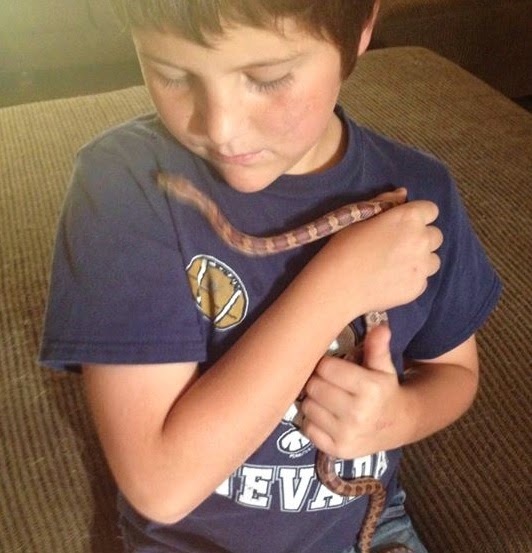 Not the kid kind, but the real pet kind! We are also having an amazing giveaway that you will not want to miss! See the end of this post to see how you can win! 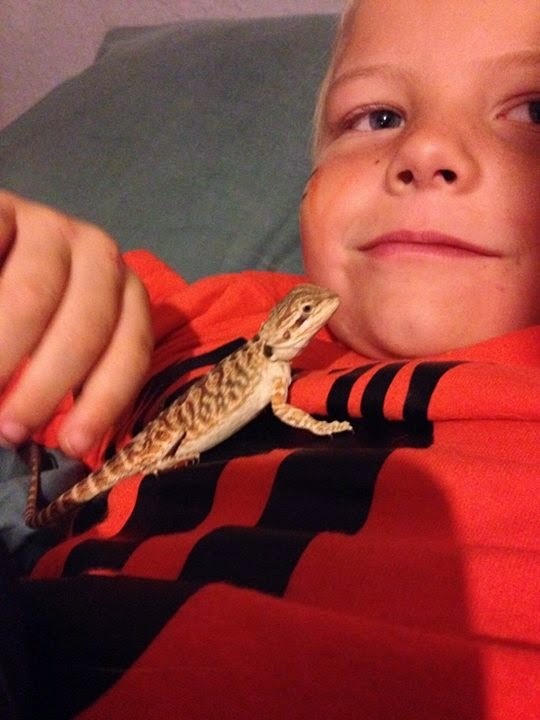 Just like we have many kids, we also have many pets! We have 3 dogs, 2 cats, 2 lizards, a snake, and a guinea pig! 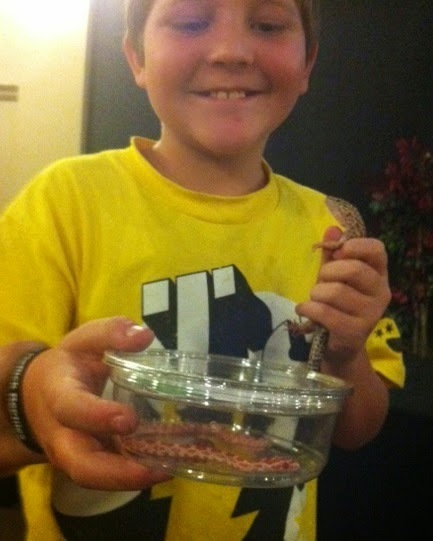 We also have pet frogs in our classroom. Ozzy is our oldest pet. He is a white German Shepherd. I had told my hubby I did not want anymore pets after our dog passed away. Then one day, while at play group with Luke, I met Ozzy and instantly changed my mind. The hostess of the playgroup owned the mom and dad of his litter and was hoping we might like one of the puppies. Ozzy decided he was ours as he sat in my lap the entire time we were there. His litter was made up of 6 boys - it was fate right? Luckily hubby agreed and he came home with us a few weeks later. The next pet to join us was our cat, Seuss. The boys named her after Dr. Seuss. She is the ultimate lap cat and we adore her to pieces! We then adopted a brother and sister Chihuahua mix-breed. They are named Alex and Bear. Alex actually adopted our second cat. She and the boys found an abandoned kitten while out for a walk, and she decided he was her puppy. 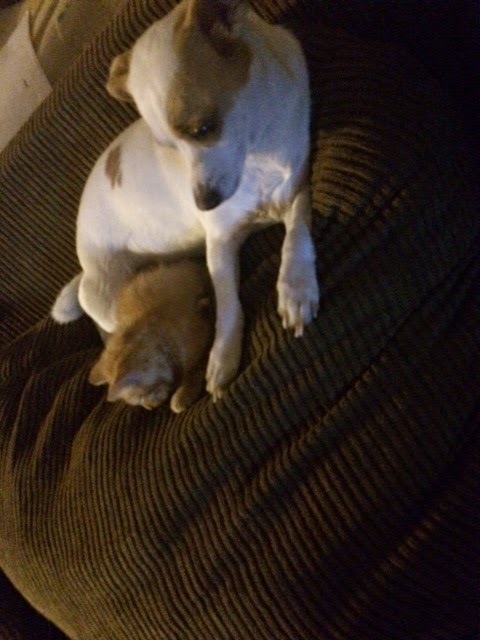 She brought him home and we took care of him (well, mostly she took care of him) and nursed him until he was a healthy spunky cat-dog! We named him Lucky, because the boys say he was Lucky that Alex found him. 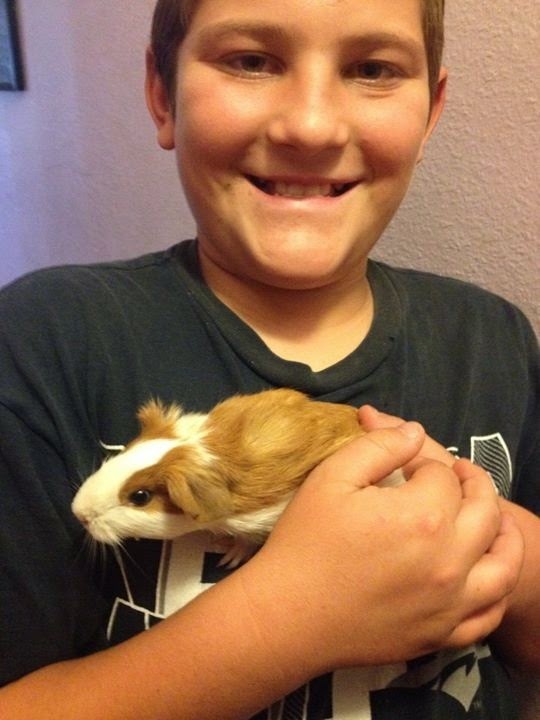 The boys are the biggest pet lovers, so we also have a variety of small pets that belong to them. 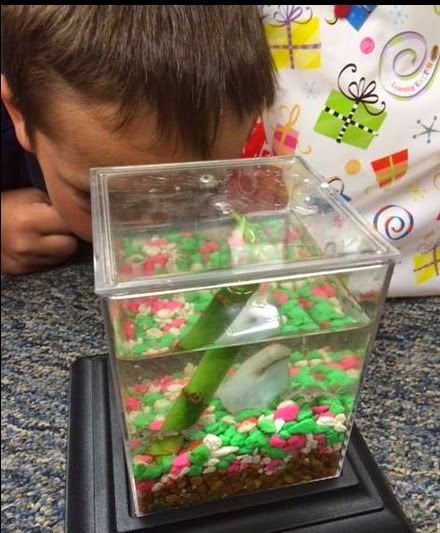 A few years ago, my class convinced me that we needed a class pet. 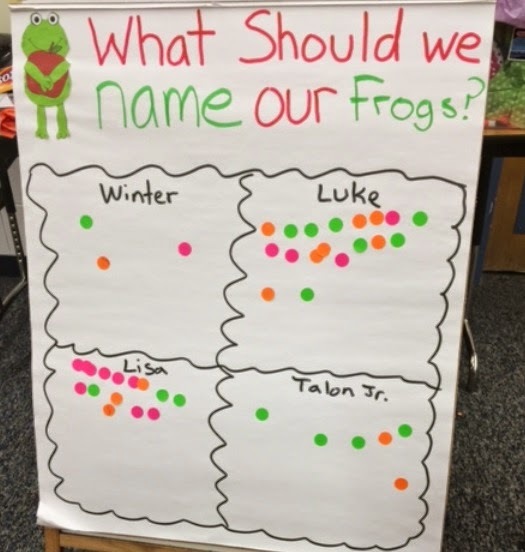 We decided frogs would be the best option (since they don't bite, and most students wouldn't have allergies). My students have LOVED them (although we have had to do a few secret switcharoos as frogs don't always live as long as cats or dogs or other animals). When my students convinced me to get our first class pet, I developed this unit which combines research and persuasive writing. 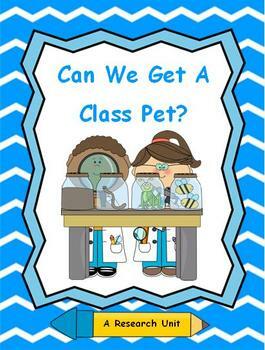 You could have your students complete it if you would like to get a class pet, or just as a persuasive unit. 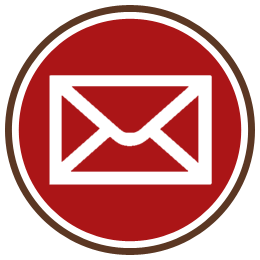 Suggested book, internet, and grant resources are also included. 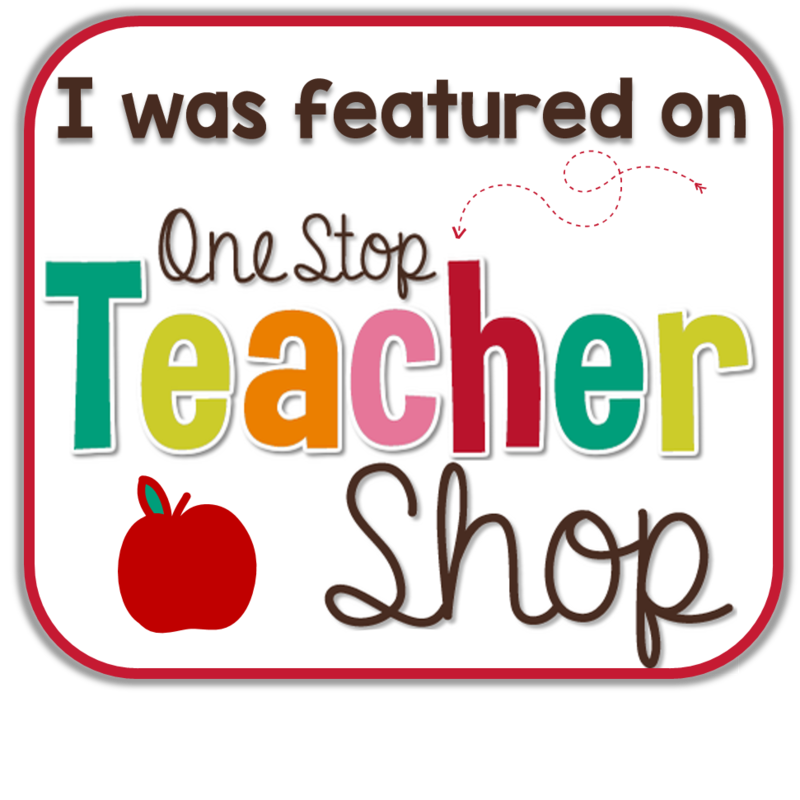 Be sure to enter our contest, and follow along to meet all of the other teacher's pets in our blog hop! I don't know about you or your class, but every year about this time my students start to get a little squirrely. I don't know if it is Spring Fever, or the anticipation of summer coming so soon, but they just seem to forget all of the rules! I always have to become a little stricter, give many reminders, and pull some new tricks out of my hat to keep those darlings working hard (we have tests coming up soon!). 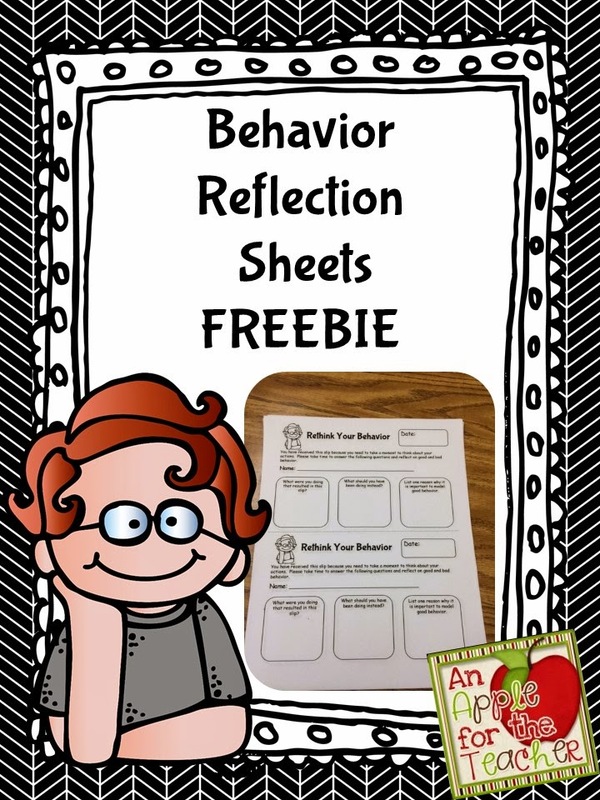 This year I have made some reflection sheets for my students to fill out when they receive more than one reminder from me about their behavior. 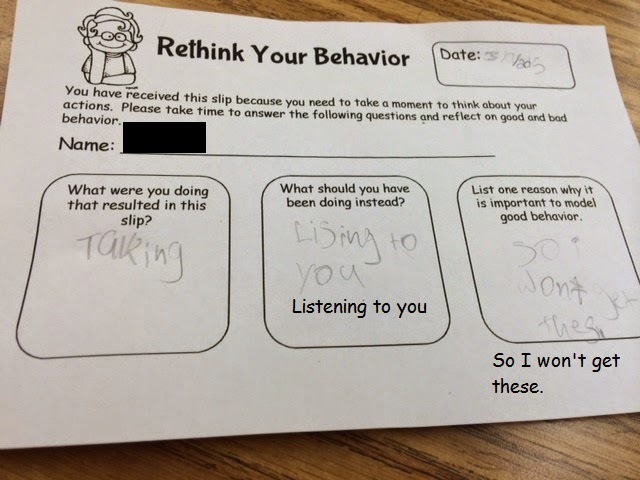 With conferences coming up soon, they really don't like filling these out knowing that their parents will see them. You can see an example of a filled one out below (along with my interpretations for you!). I have uploaded these as a freebie to my TpT store in case you have a case of the squirrels in your class too! What tips and tricks do you have up your sleeve for dealing with spring fever behavior? You probably already know that when you incorporate movement into your lessons, your students are less bored and more engaged in learning. Movement actually increases blood flow in the brain? 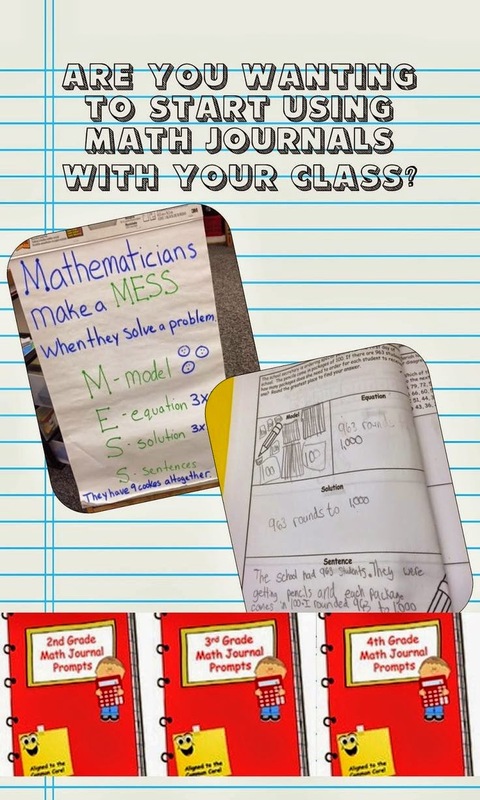 Math Stations can be actual activities or just problems placed around the room. I often will put one or two problems at each table and have my students travel around in partners or small groups to solve them. One strategy that I learned recently is to have your students occasionally change partners or groups during the activity. For example, I might say, "Partner Ones stay at your table, and Partner Twos rotate to the next table." This has really helped to cut down on off-task behaviors. 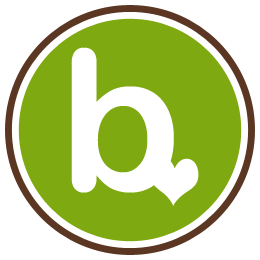 It also gives students an opportunity to coach or teach each other which helps increase their understanding as well. 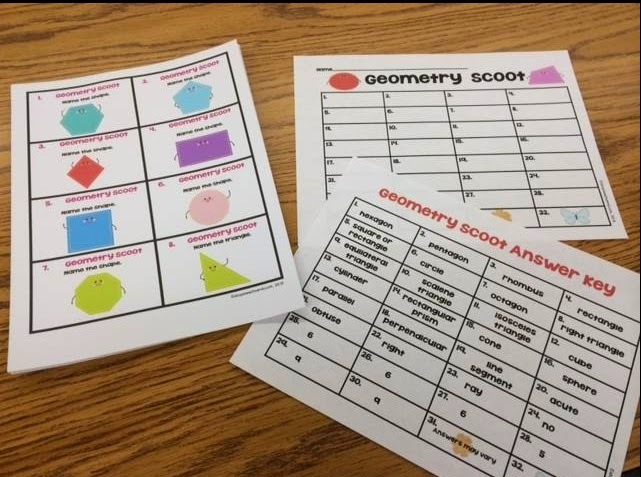 Scoot games are great for this as well! 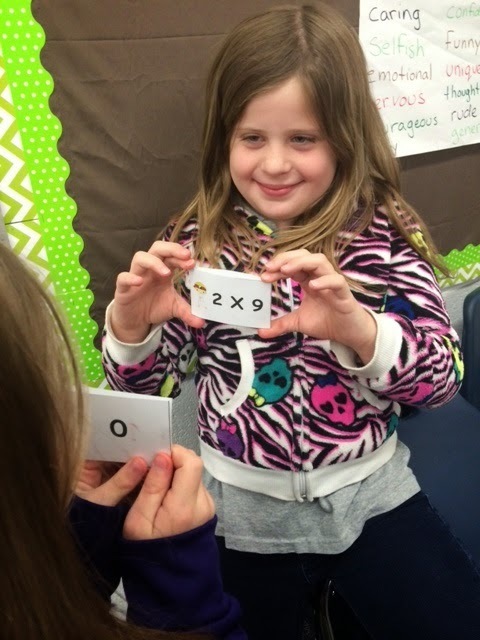 In Quiz, Quiz, Trade activities, students are each given a problem card. 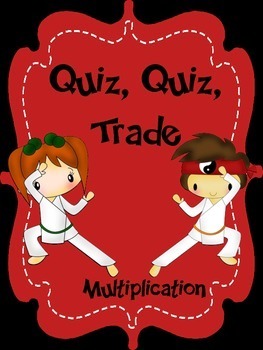 They pair up with a partner and each quizzes the other using their cards. If they get the problem correct, the partner congratulates them. If they answer incorrectly, the partner coaches them with the correct answer. The partners then trade cards and find new partners. 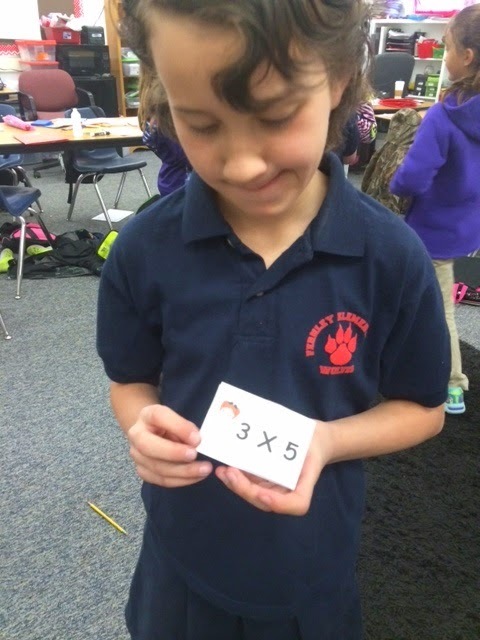 My students were using my Quiz, Quiz, Trade Multiplication Cards. In a previous blog post, I mentioned using hand signals for geometric terms such as line, line segment, point, etc. Hand signals are a great way to teach vocabulary terms of all types! I found a video that uses similar hand signals to what we use here. 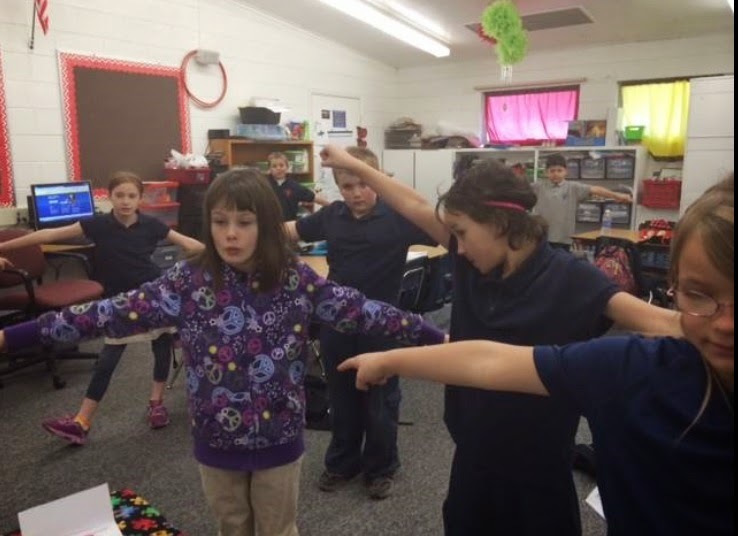 How do you incorporate movement in math?